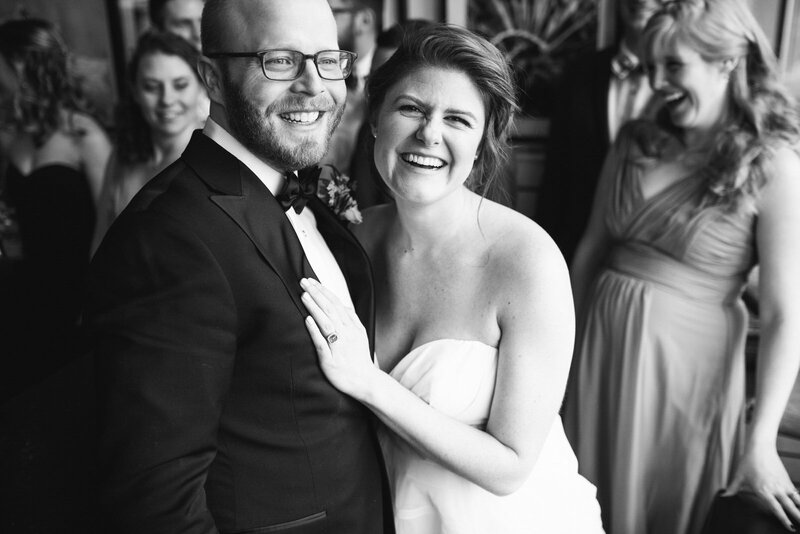 Lauren and Greg are two fantastic people. 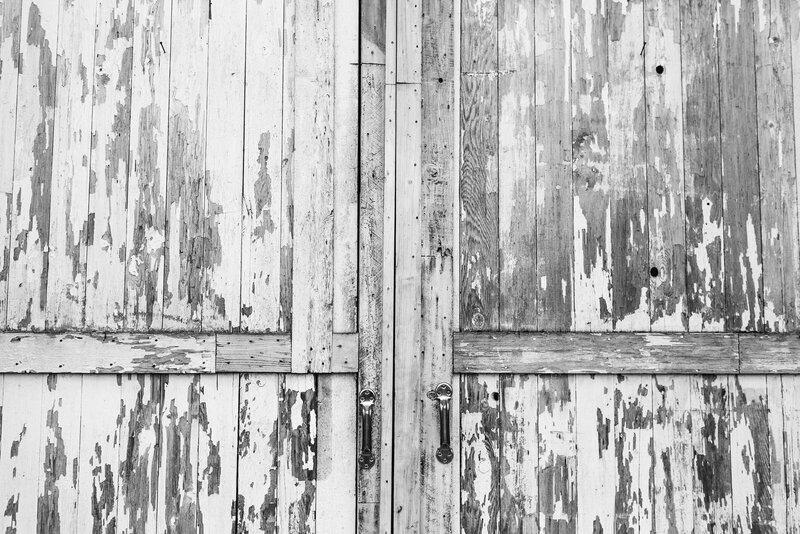 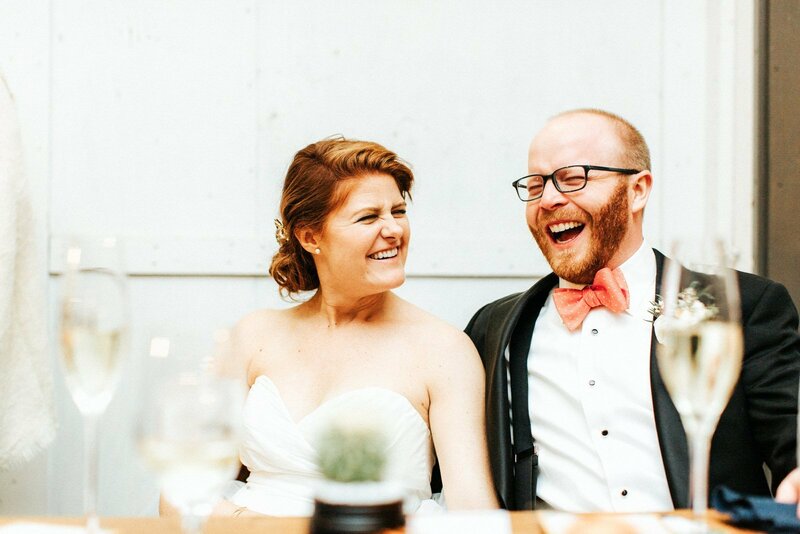 After their engagement session last fall I knew they were going to be so fun to photograph. 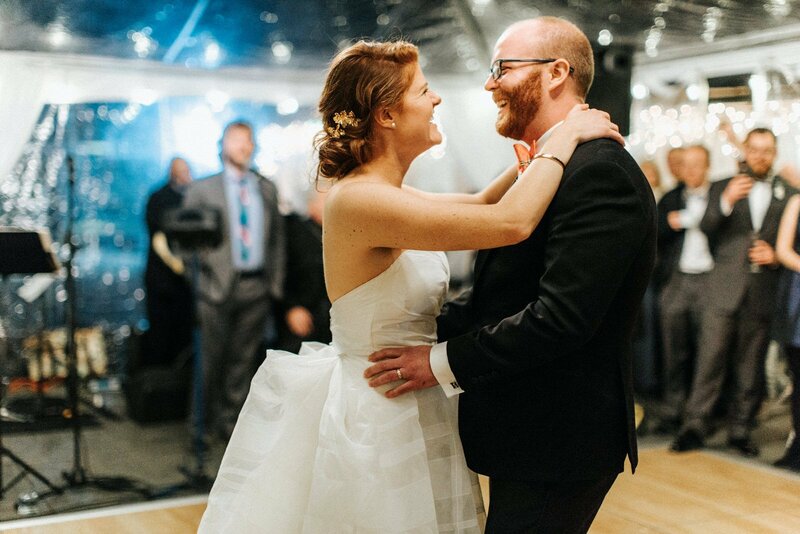 They were all smiles and so clearly in love. 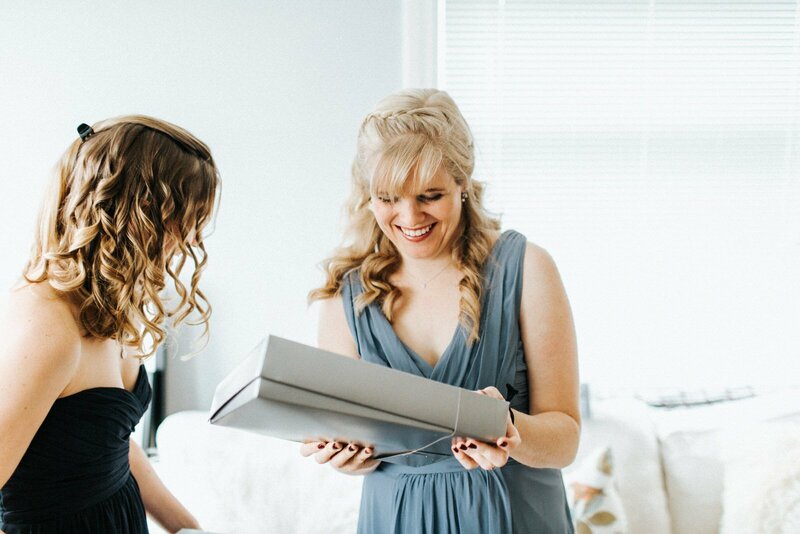 Turns out, we all graduated from the same college and Lauren and I even went to the same high school! 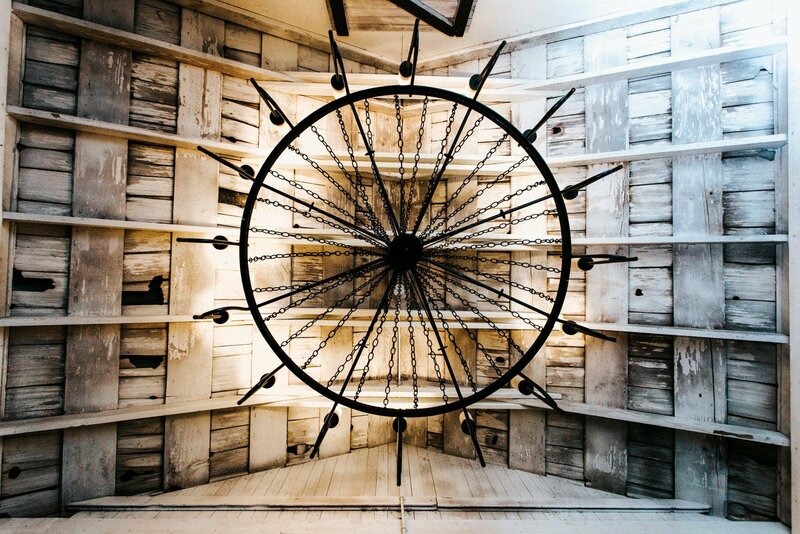 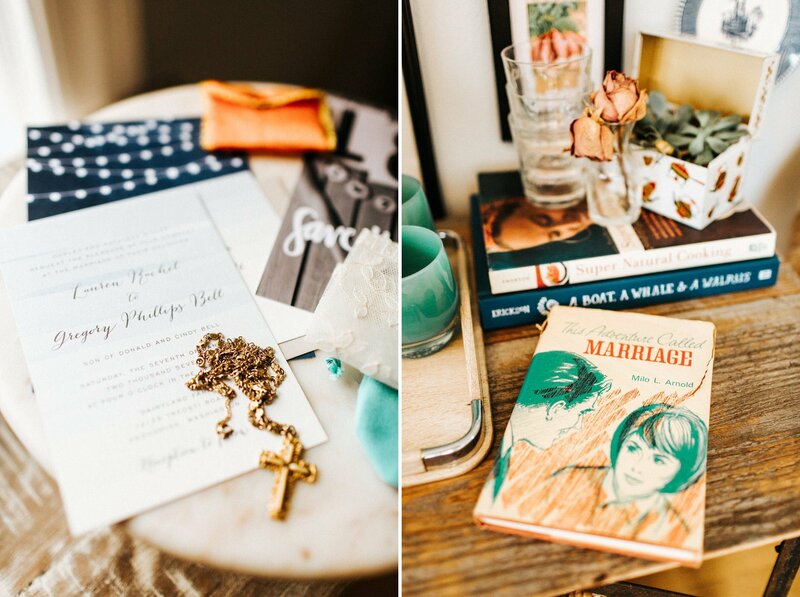 We learned all this at our first client meeting and it was a very small world moment. 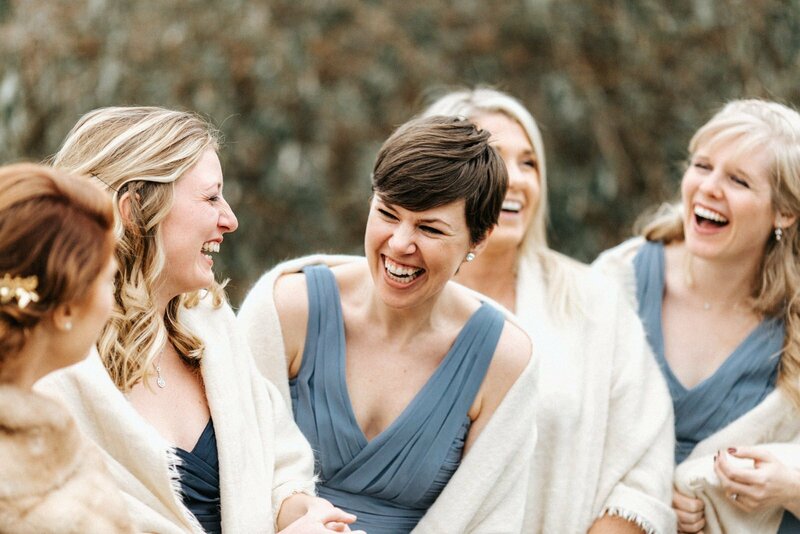 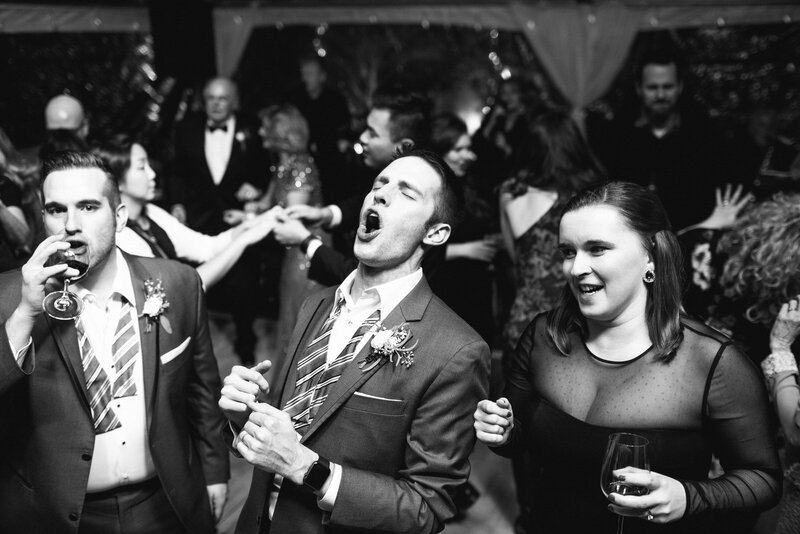 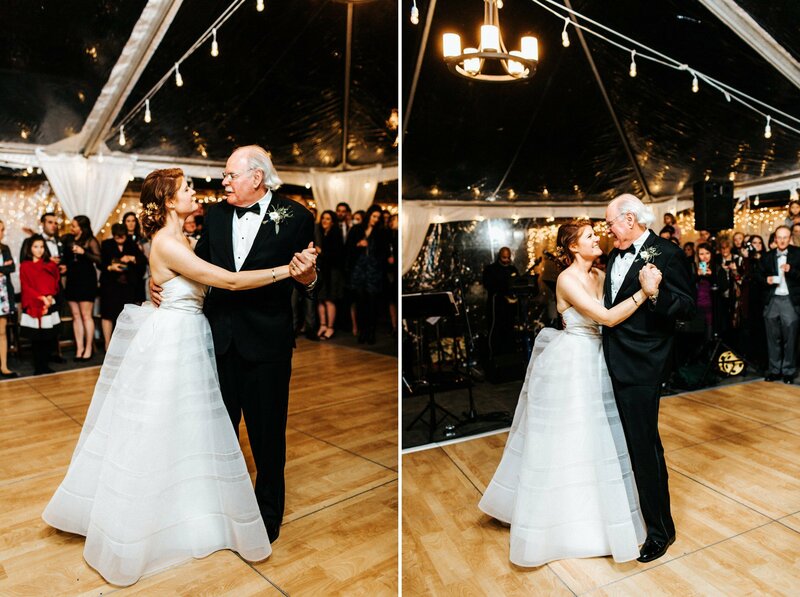 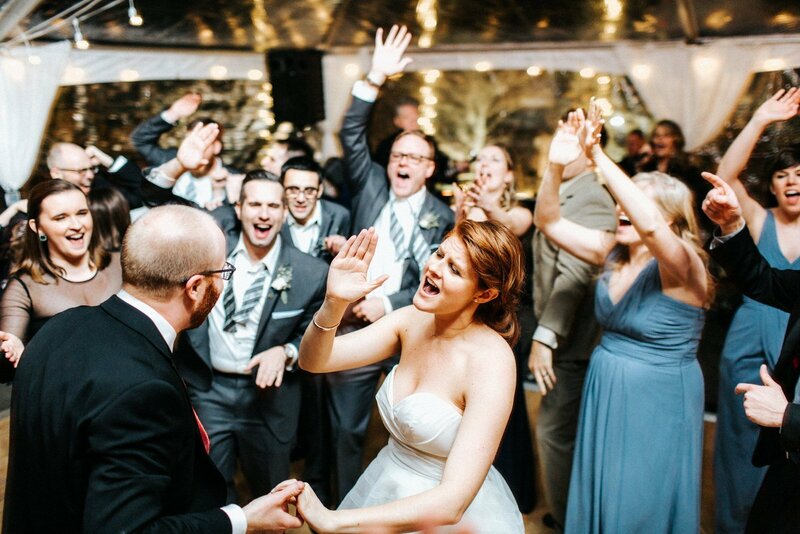 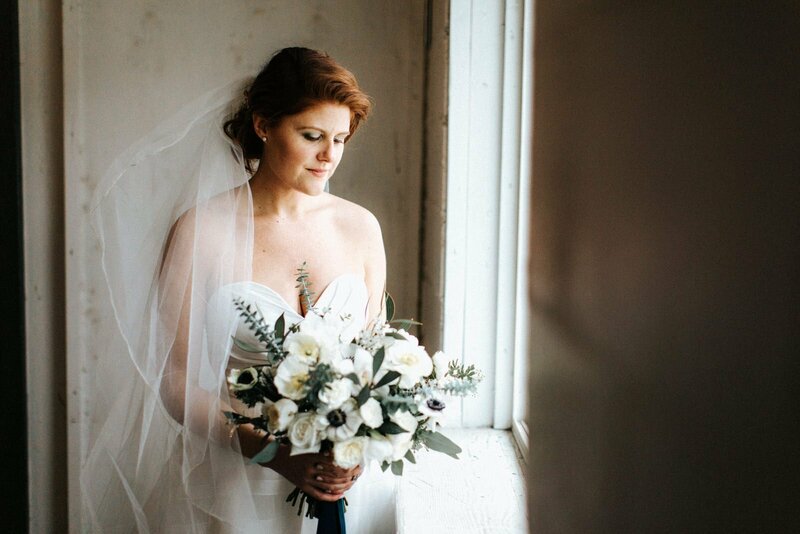 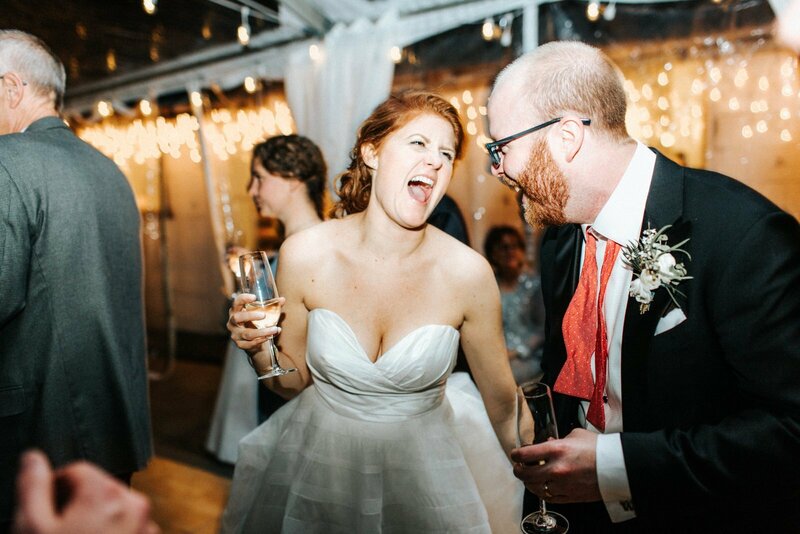 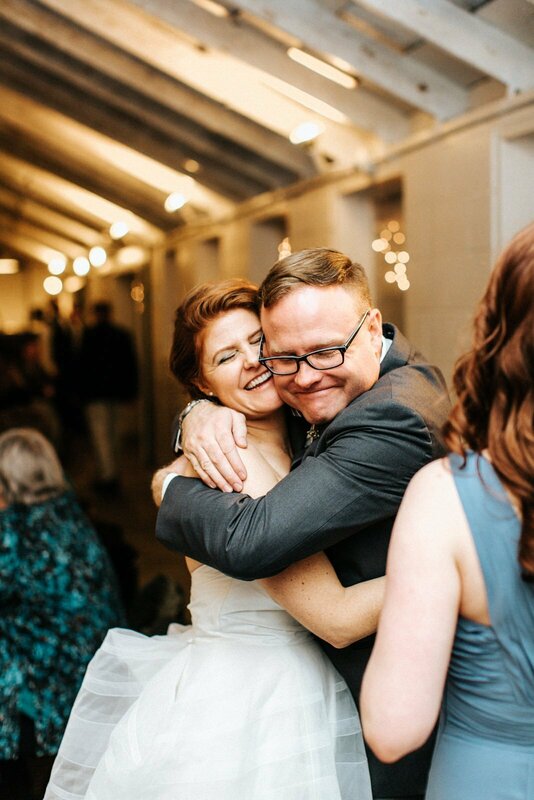 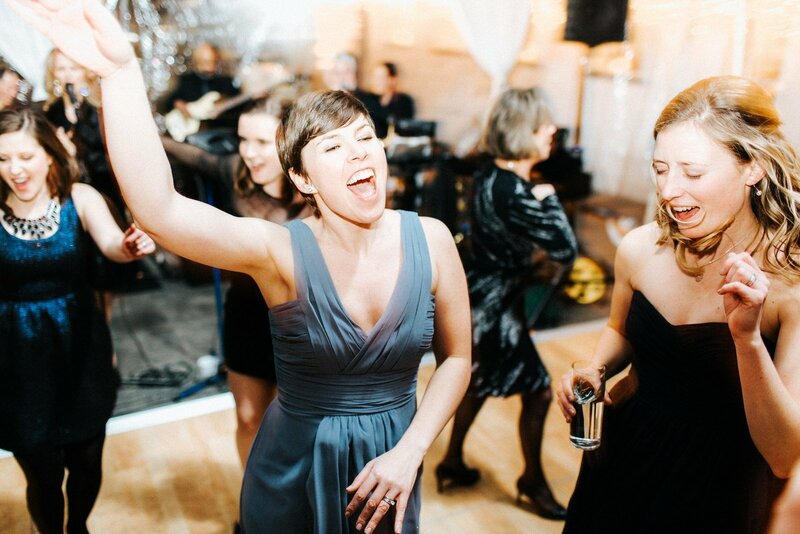 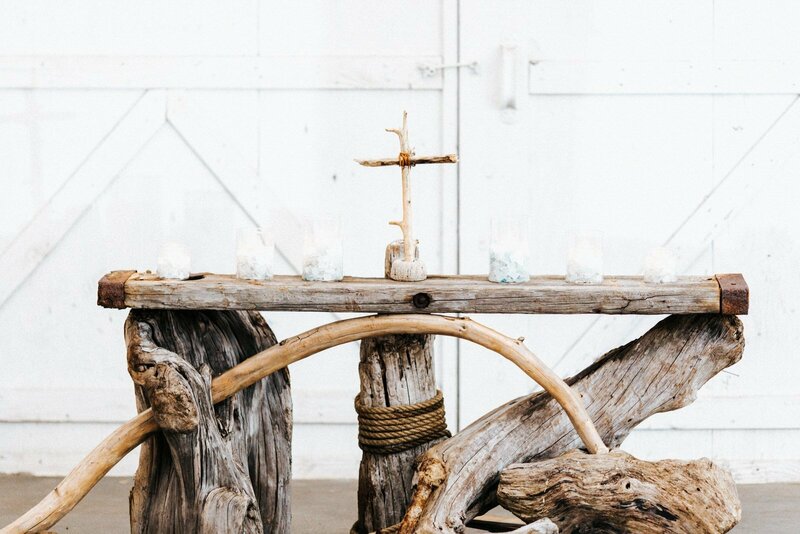 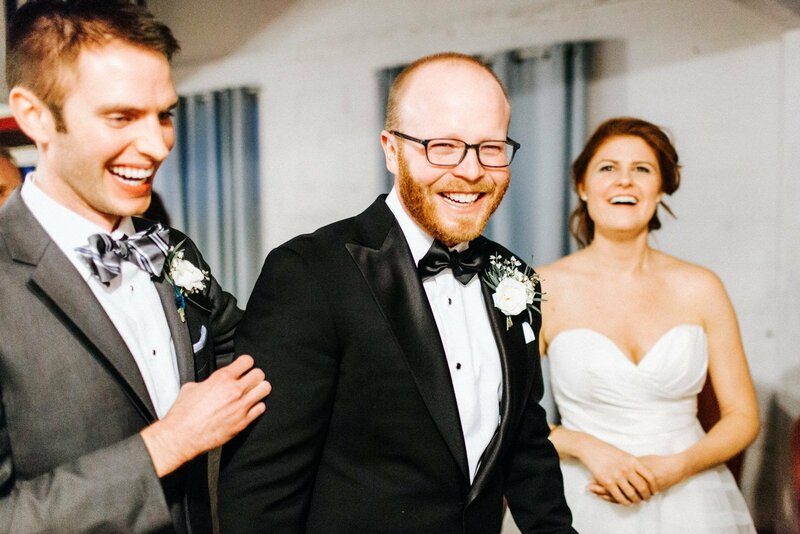 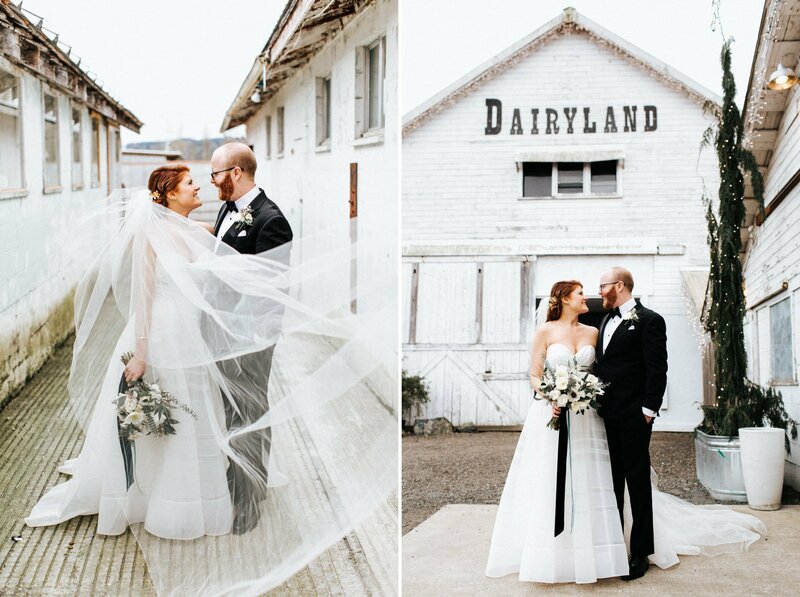 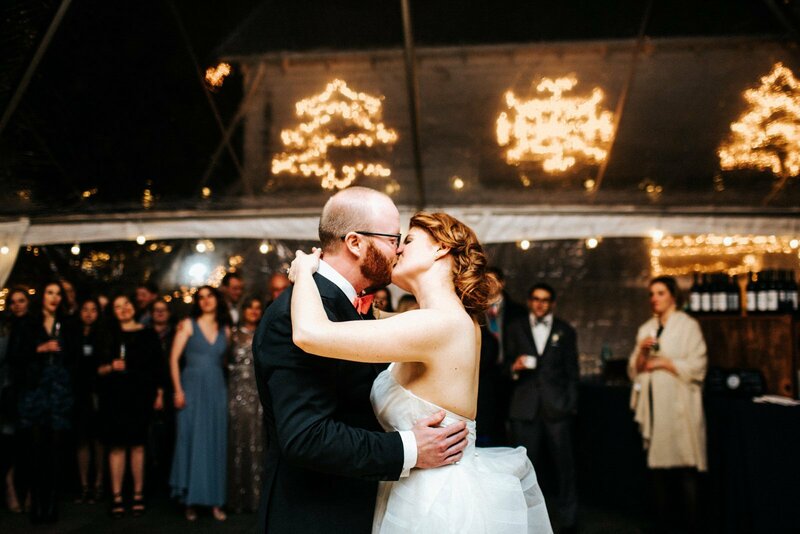 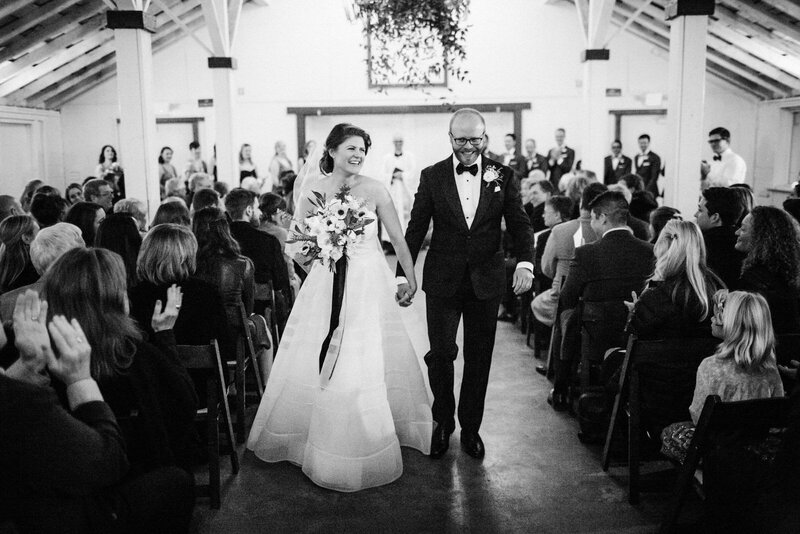 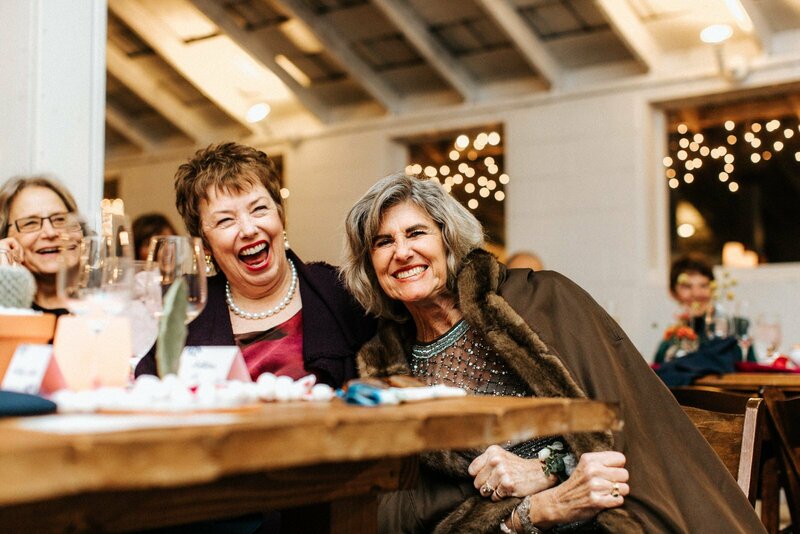 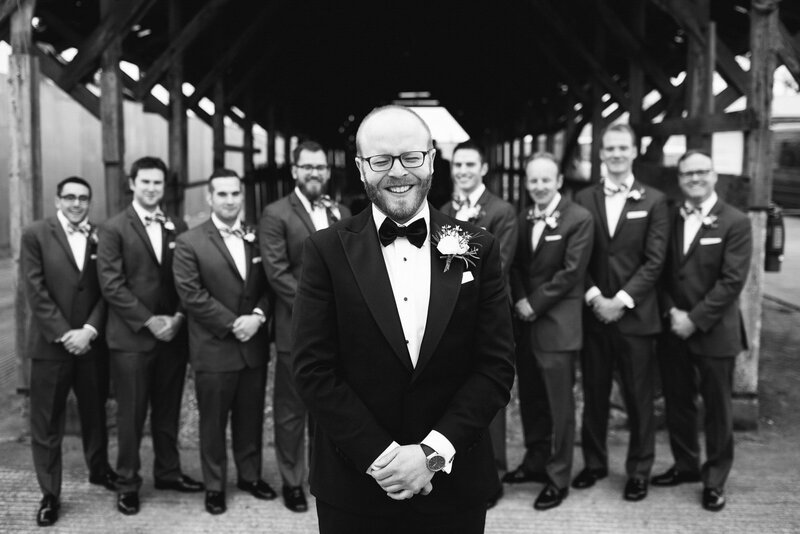 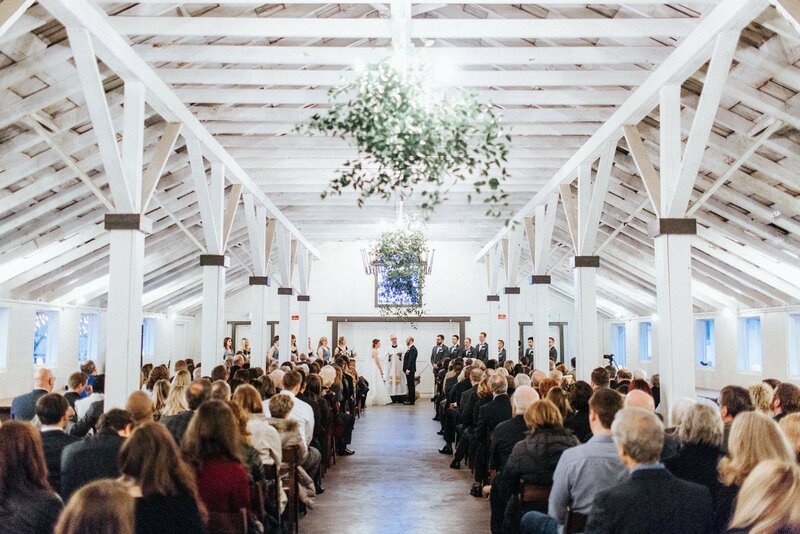 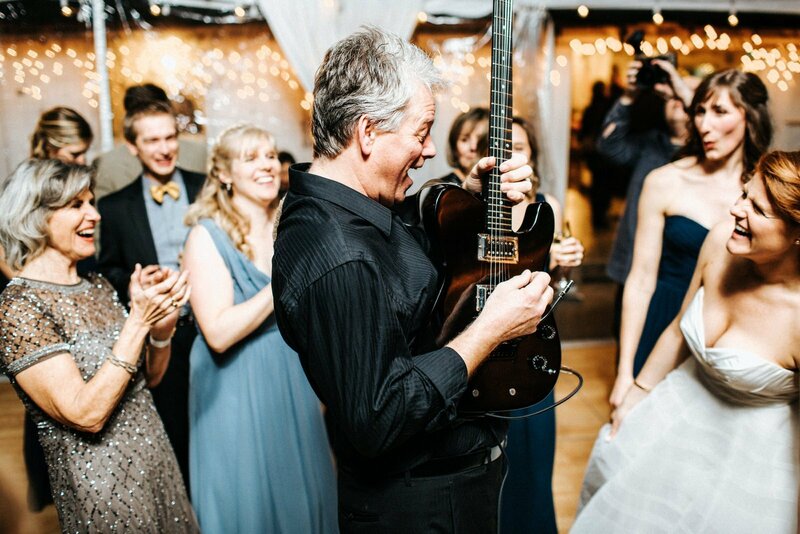 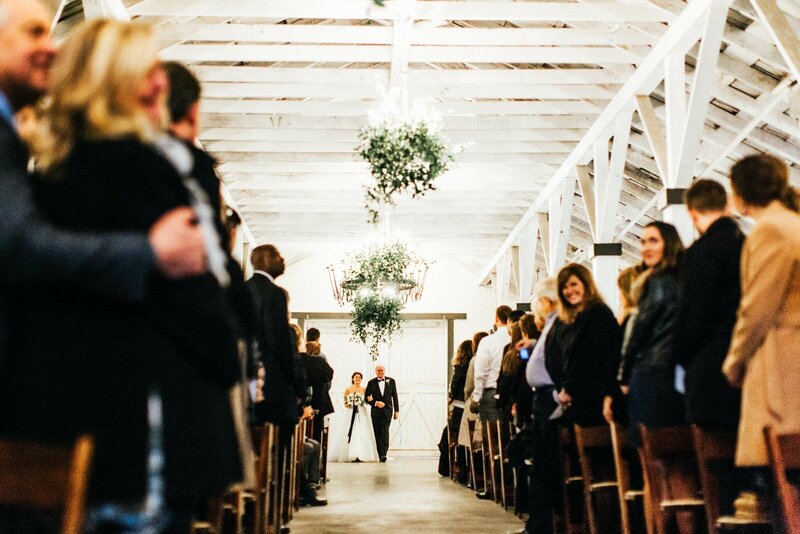 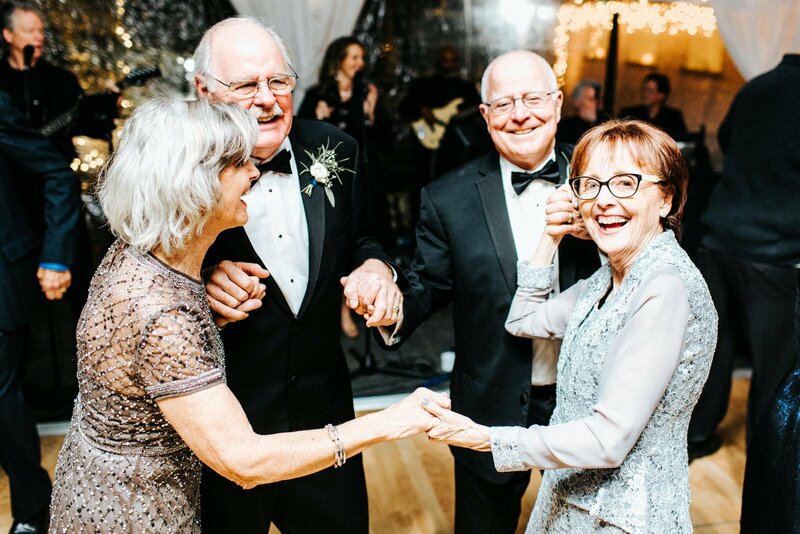 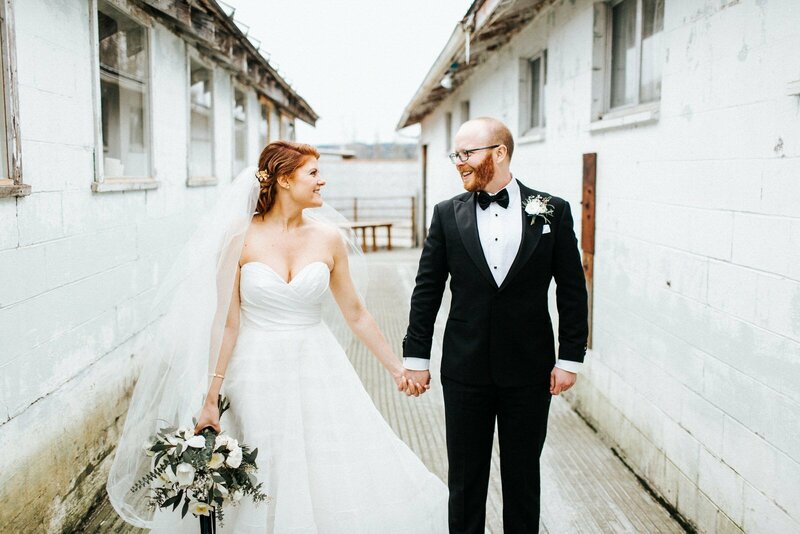 Their winter wedding at Dairyland was absolutely amazing. 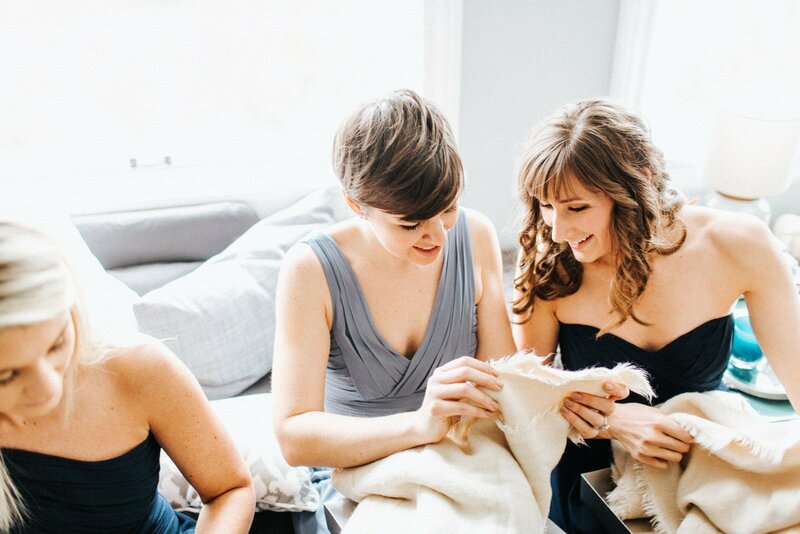 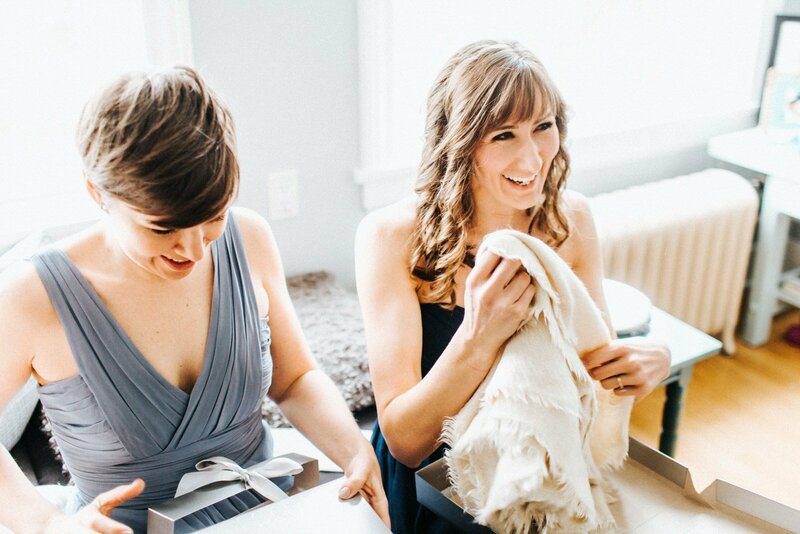 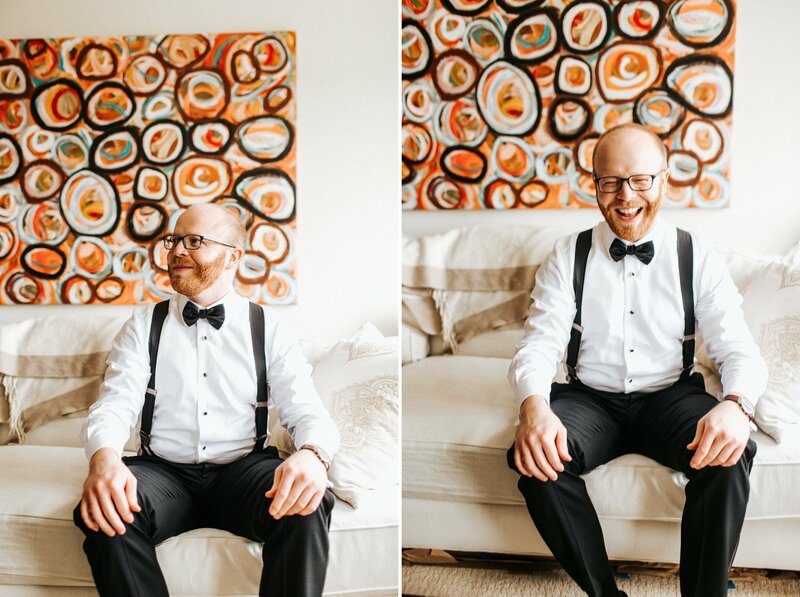 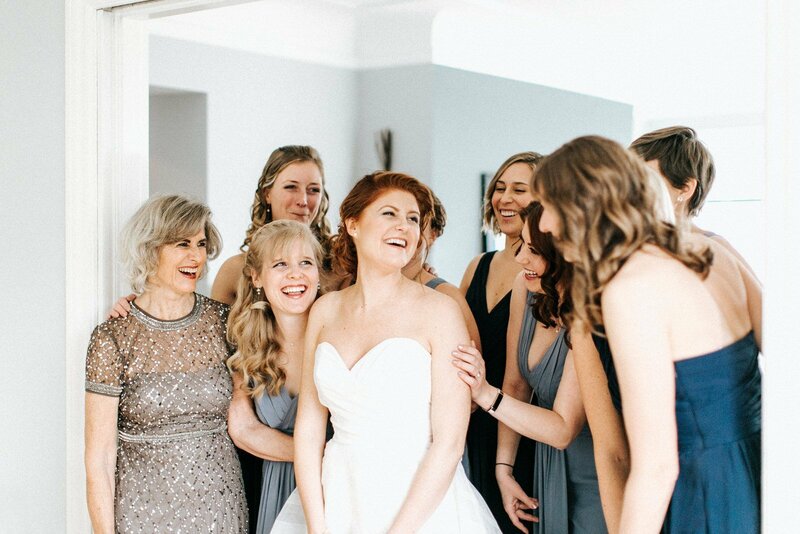 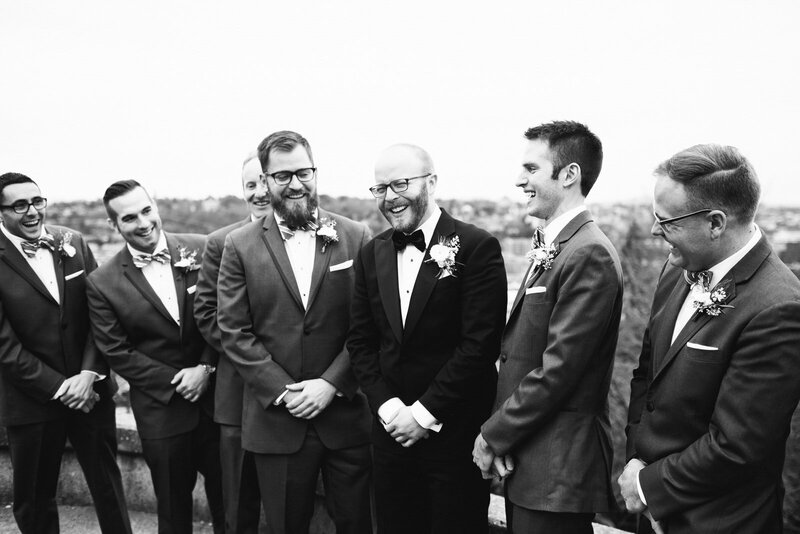 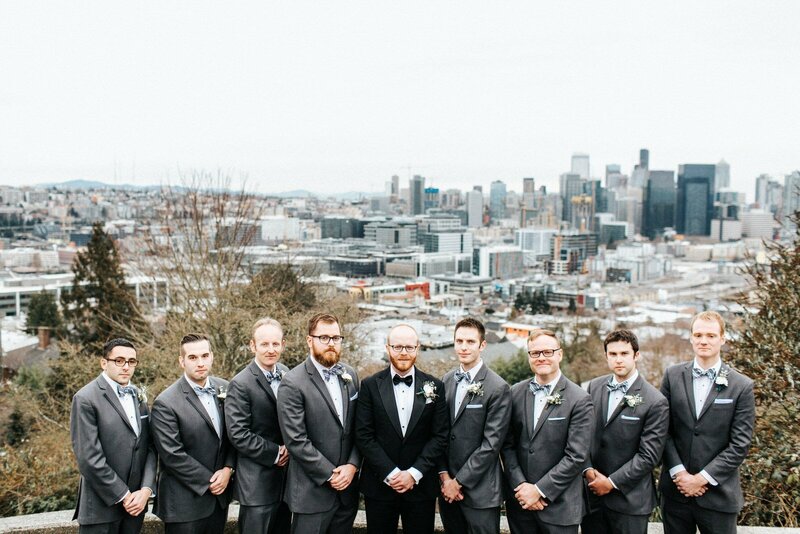 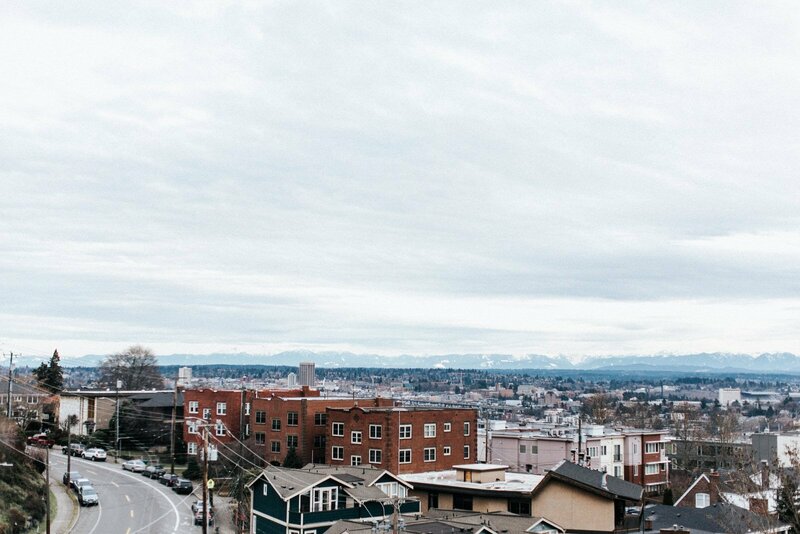 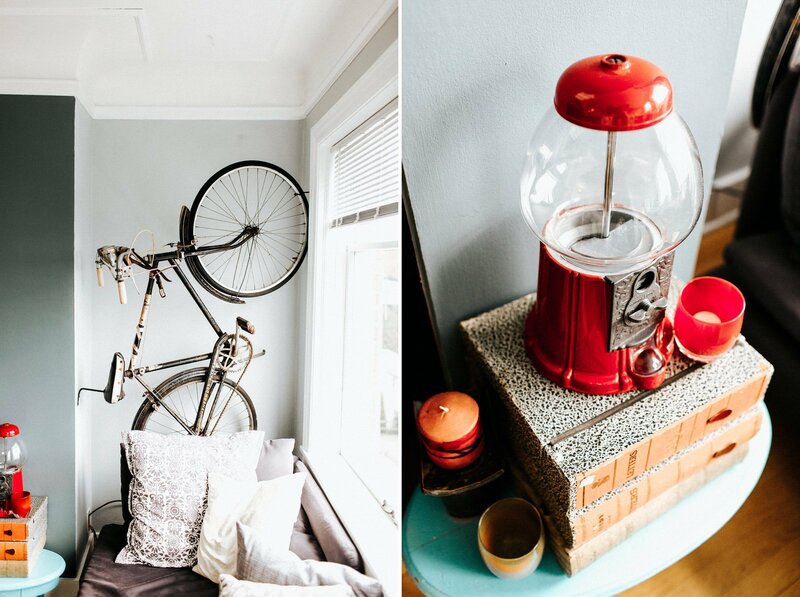 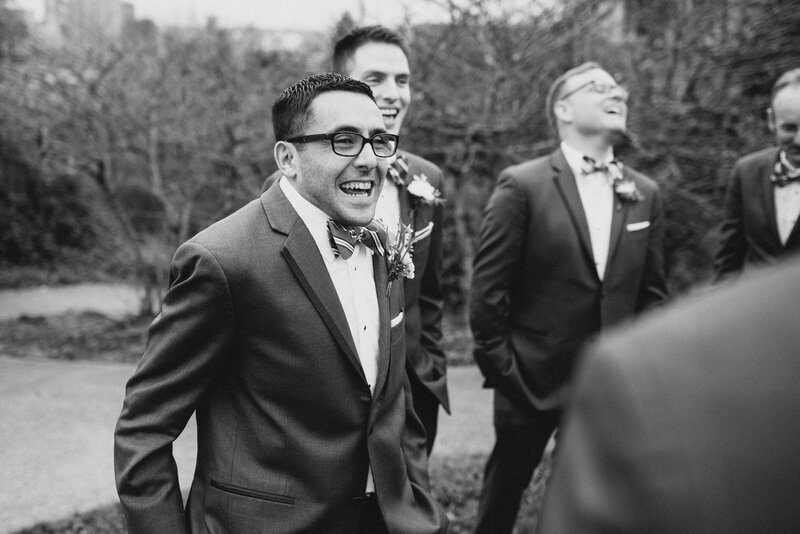 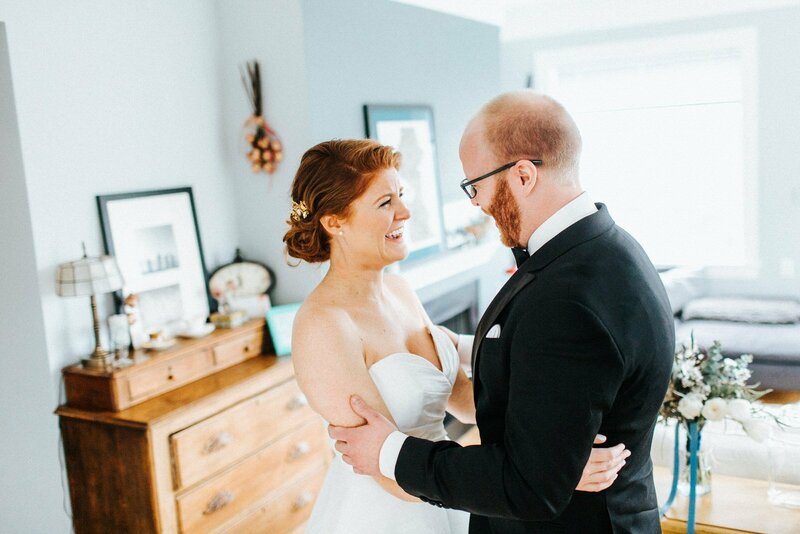 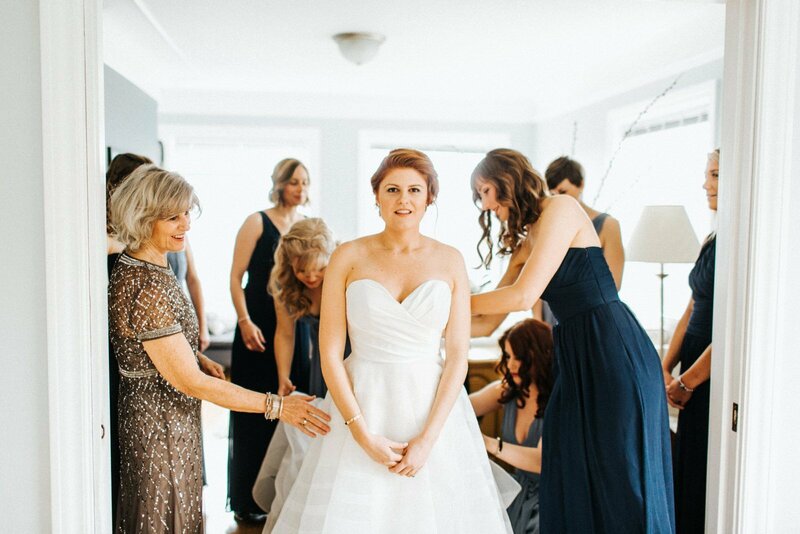 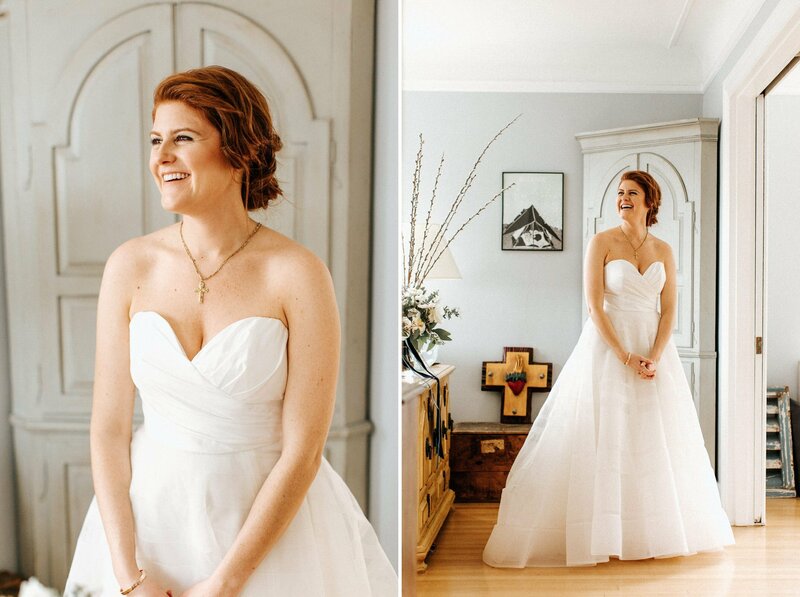 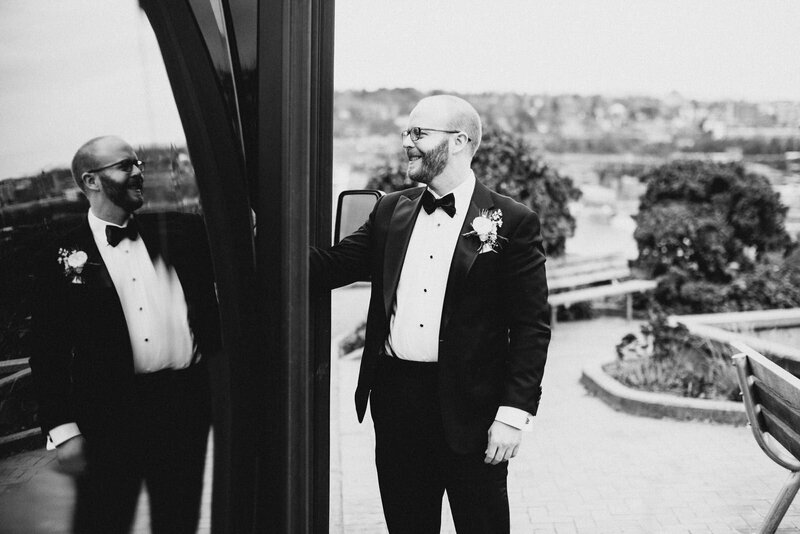 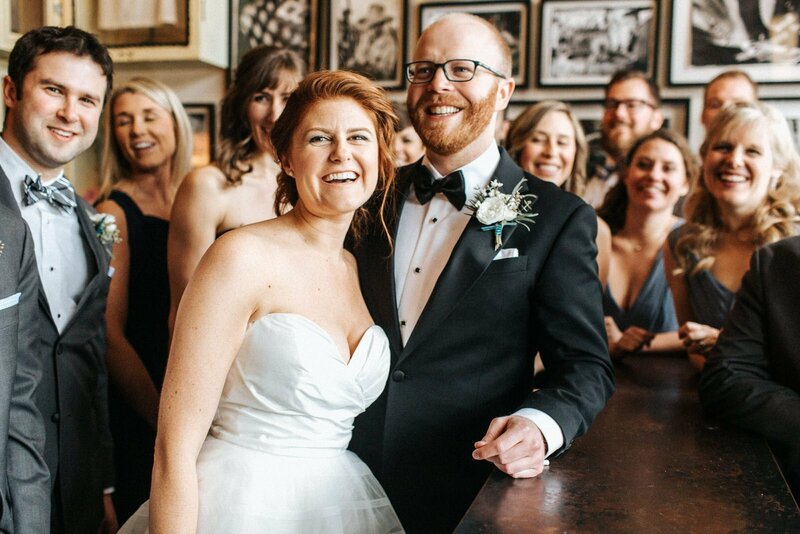 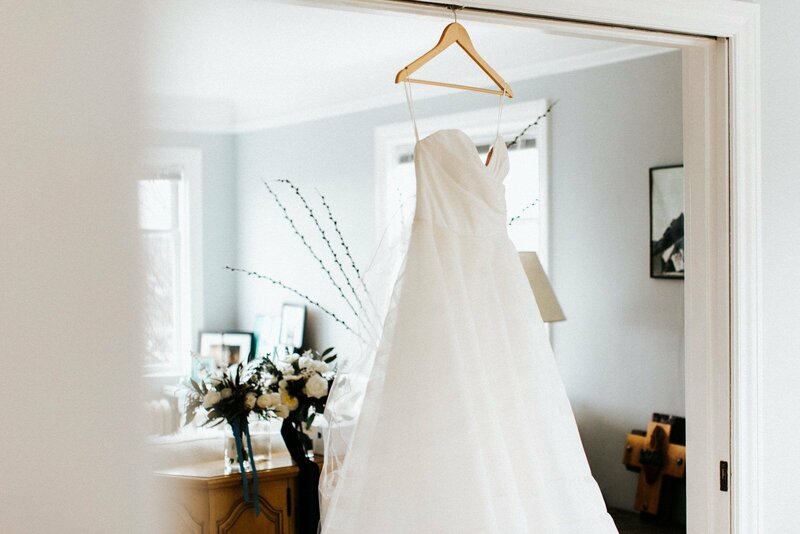 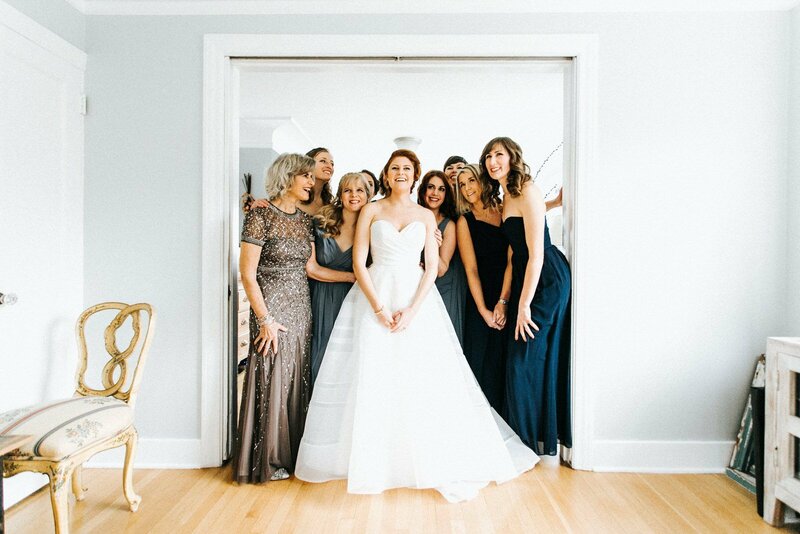 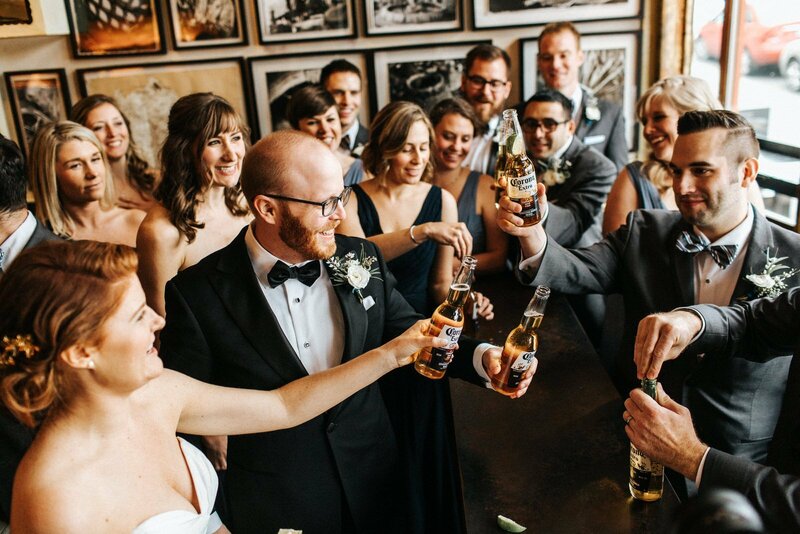 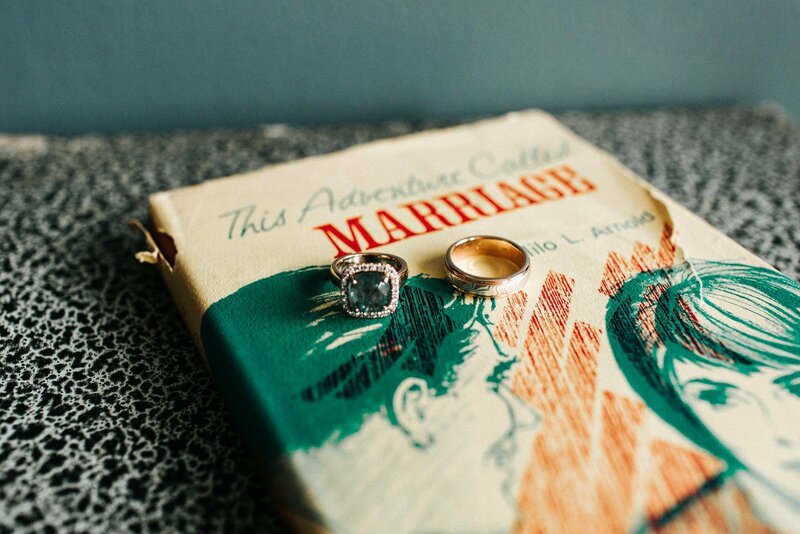 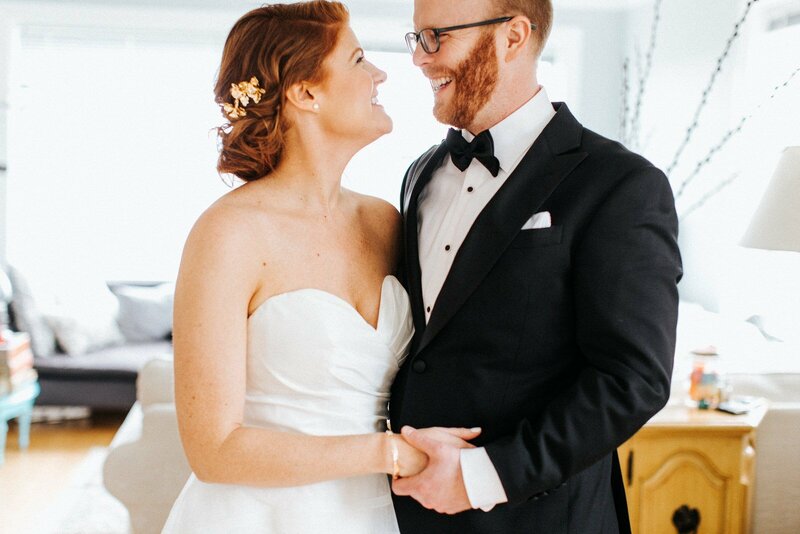 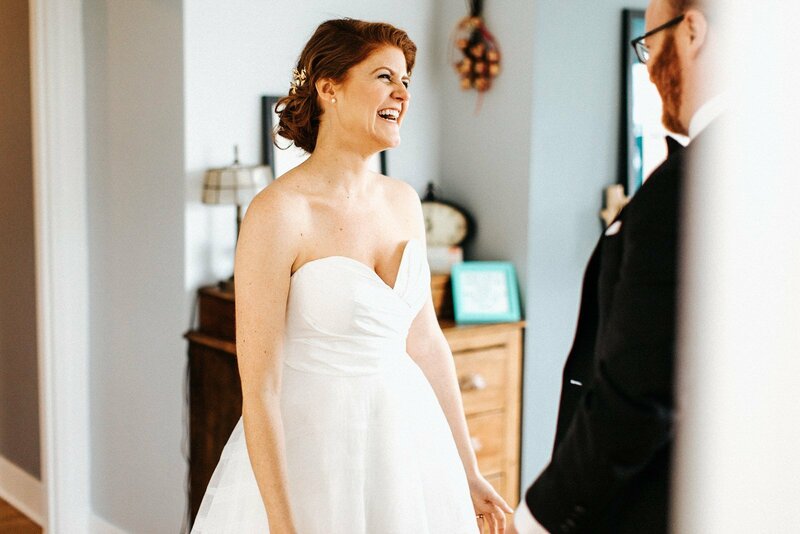 We started the day at their apartment in Queen Anne where everyone got ready and they had their first look. 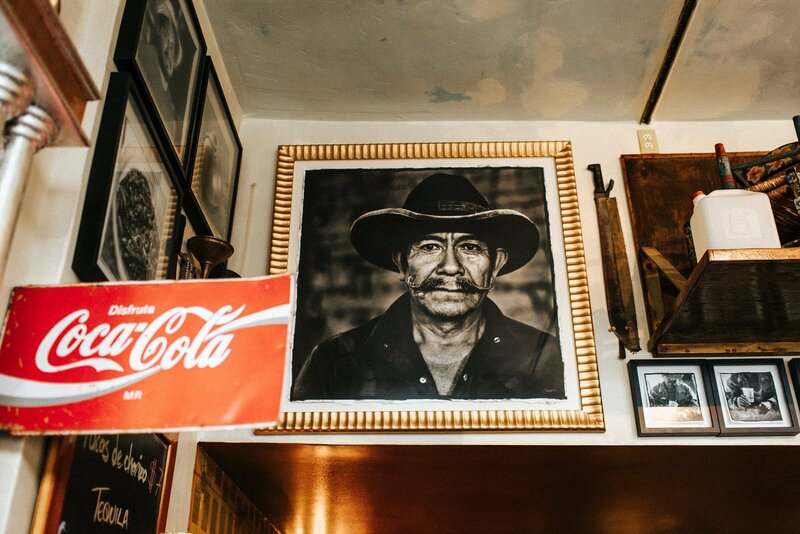 From there we made a pit stop at their favorite Mexican restaurant. 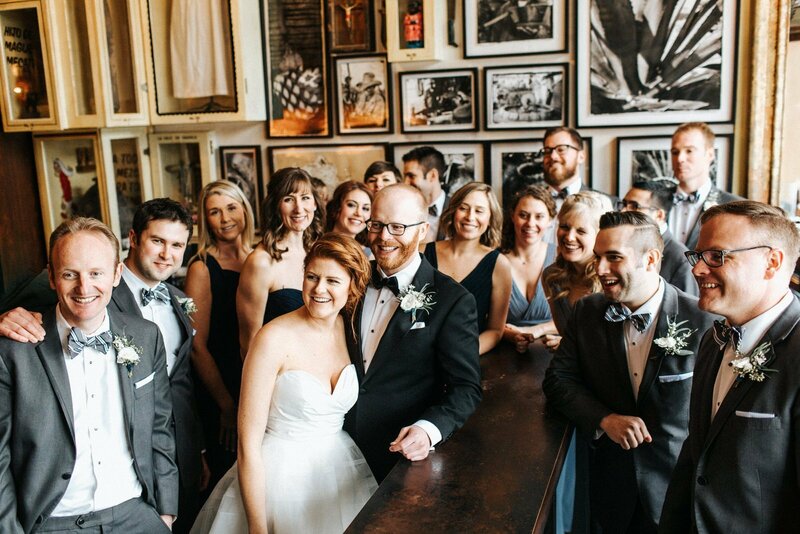 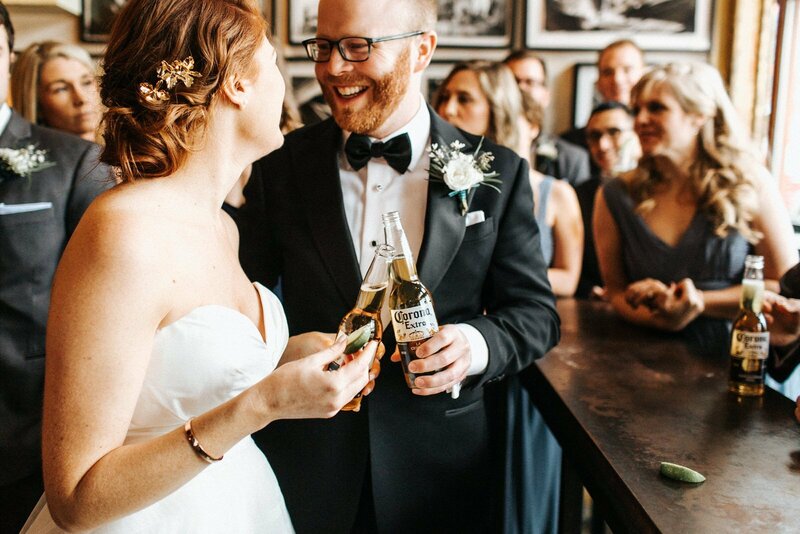 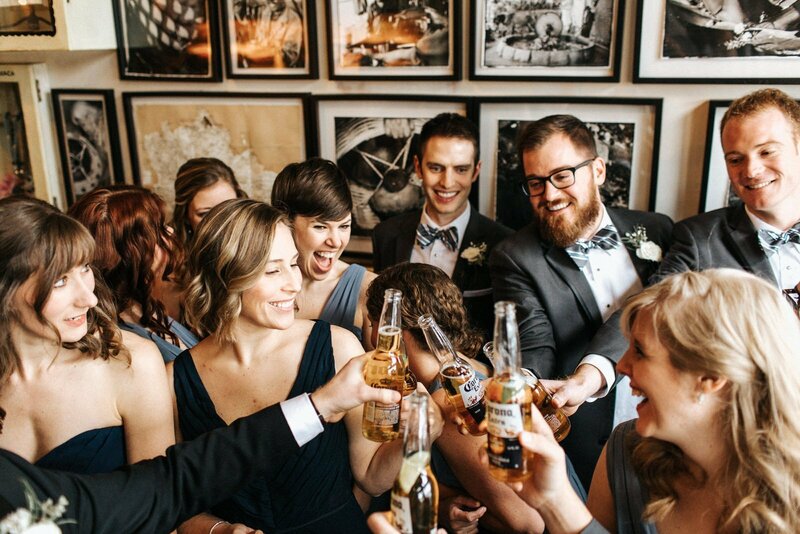 The casual Saturday morning customers were pretty surprised to see an 18 person wedding party come in for drinks. 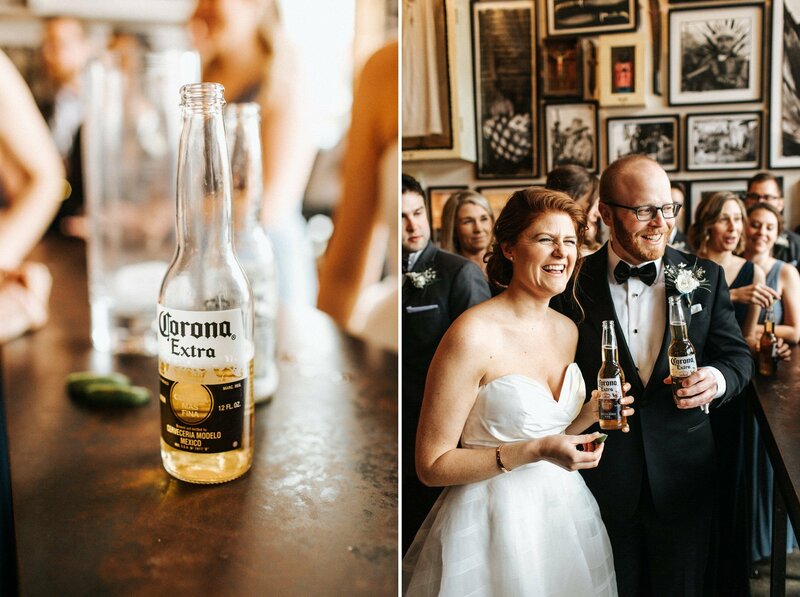 Everyone had so much fun and they gave everyone free coronas for a big cheers. 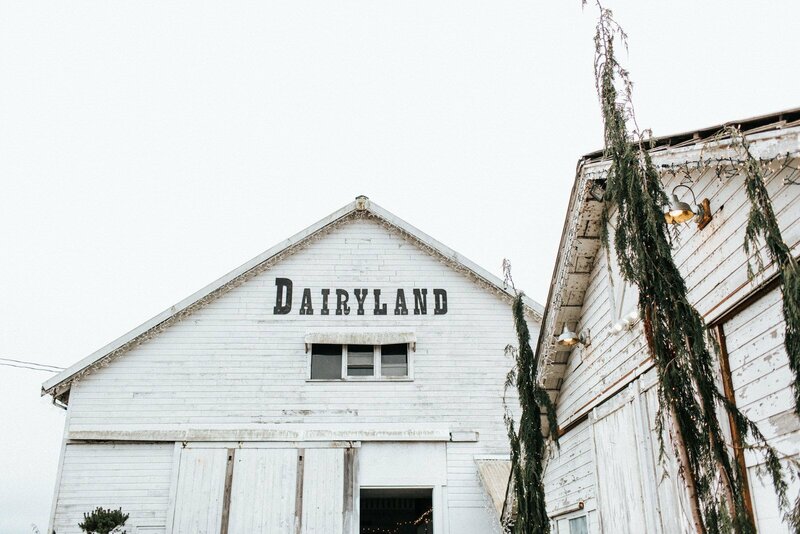 Once we arrived at Dairyland it was absolutely freezing, but everyone braved the cold. 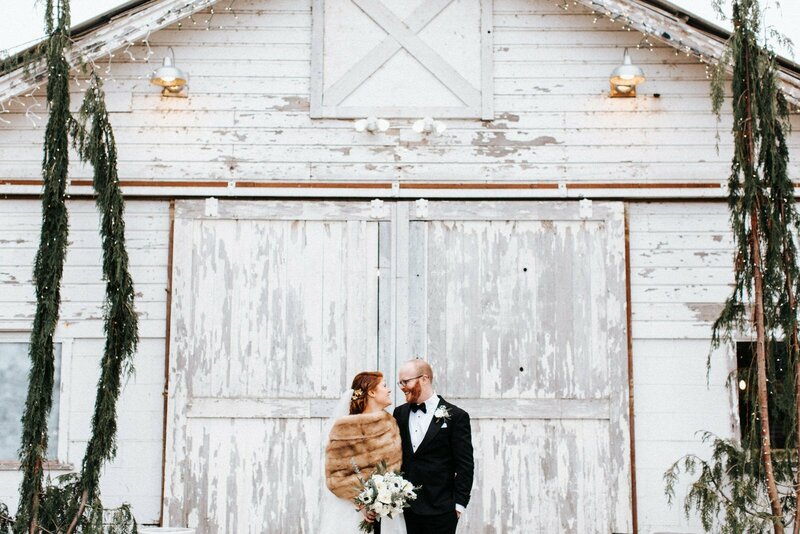 It definitely felt like winter, but it was so perfect. 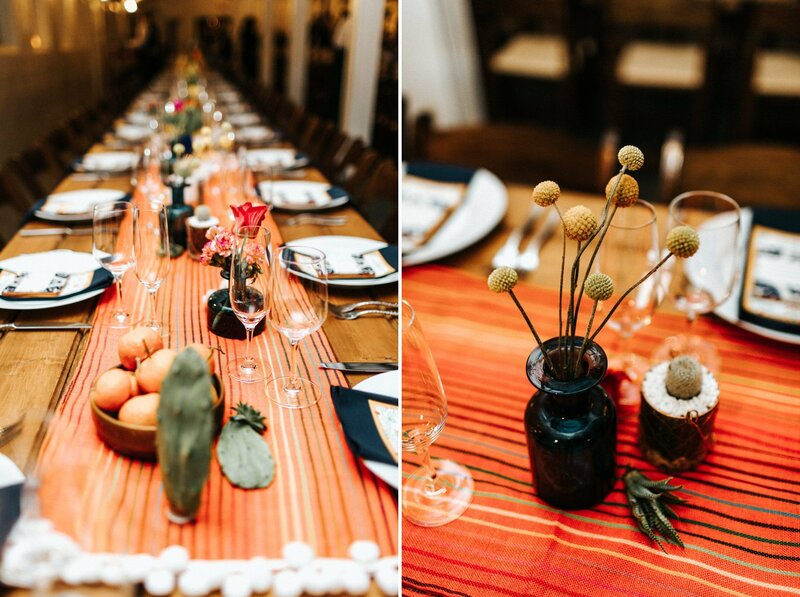 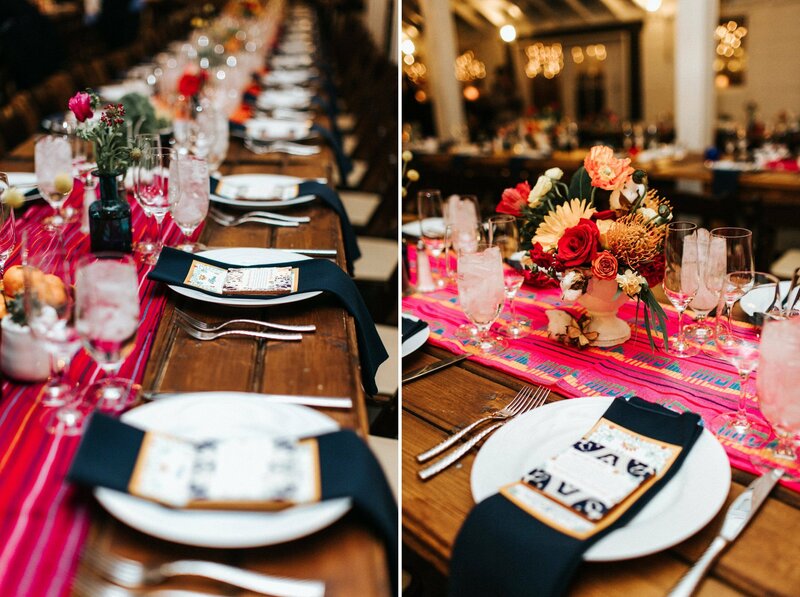 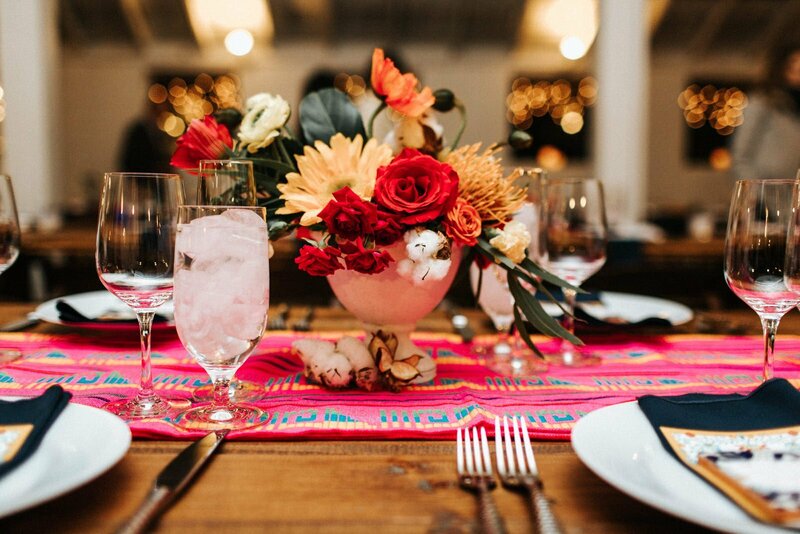 Their reception was so unique with colorful Spanish style decor. 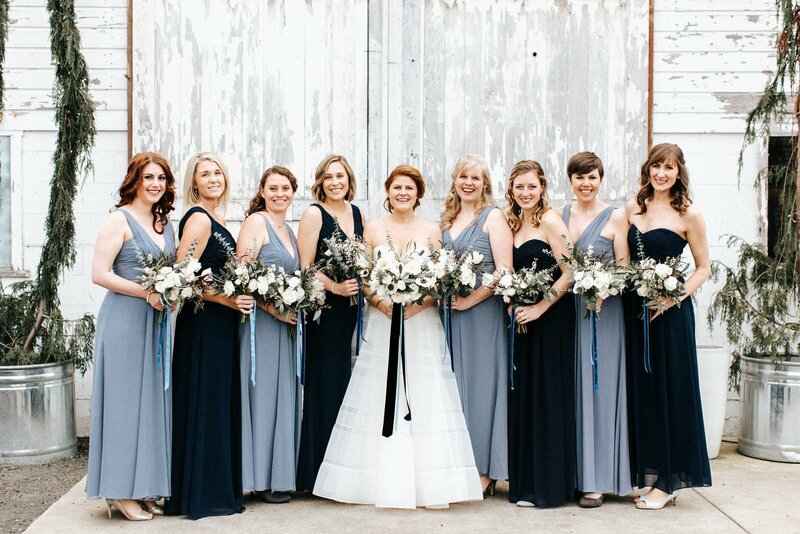 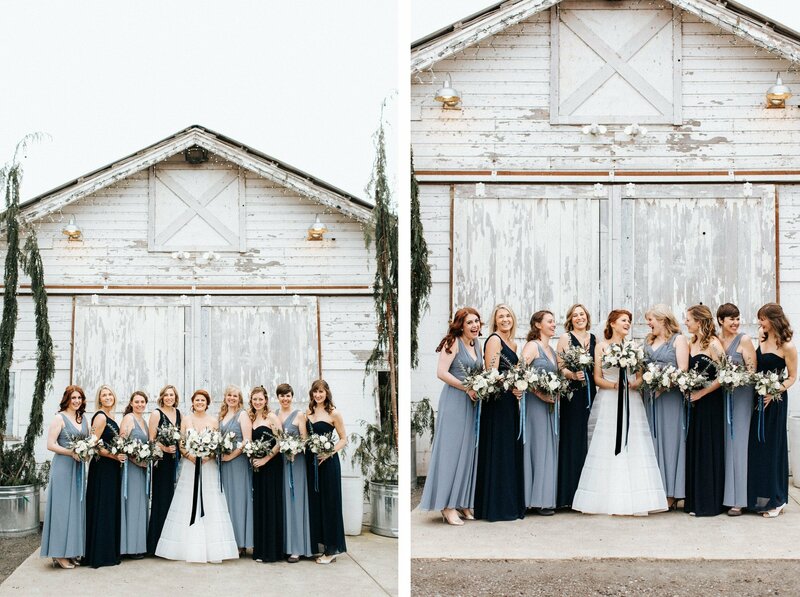 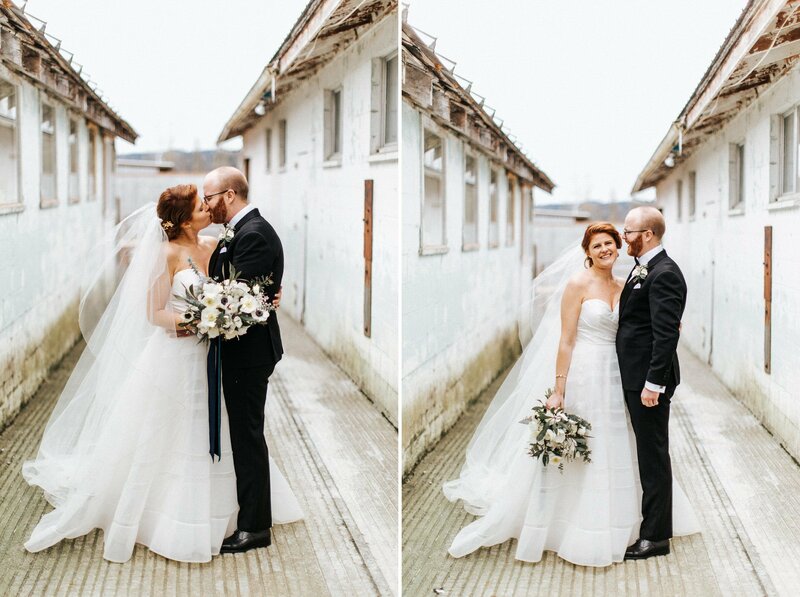 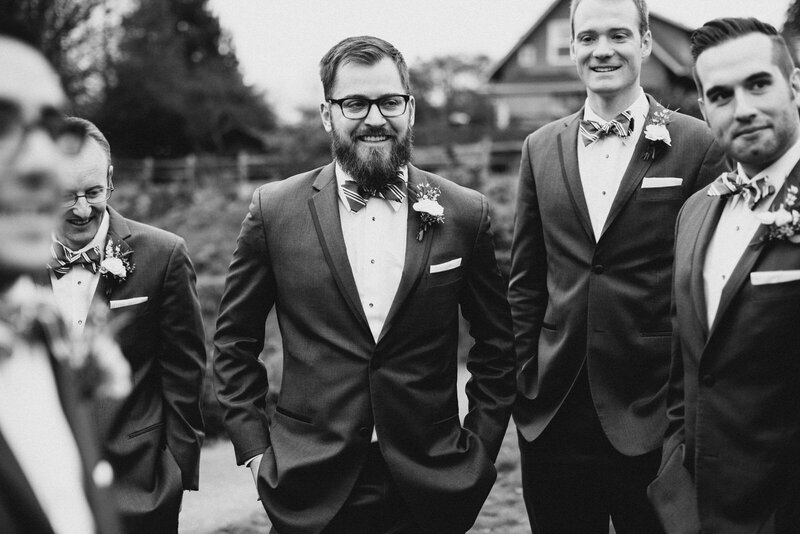 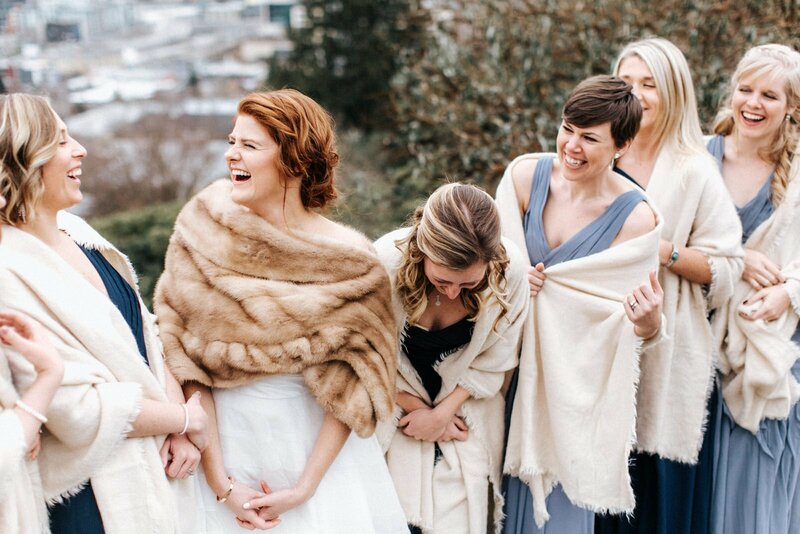 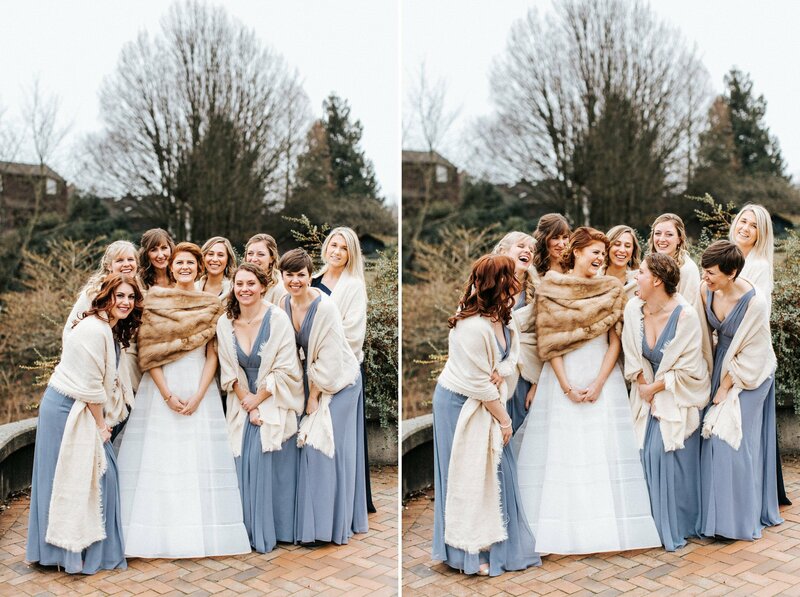 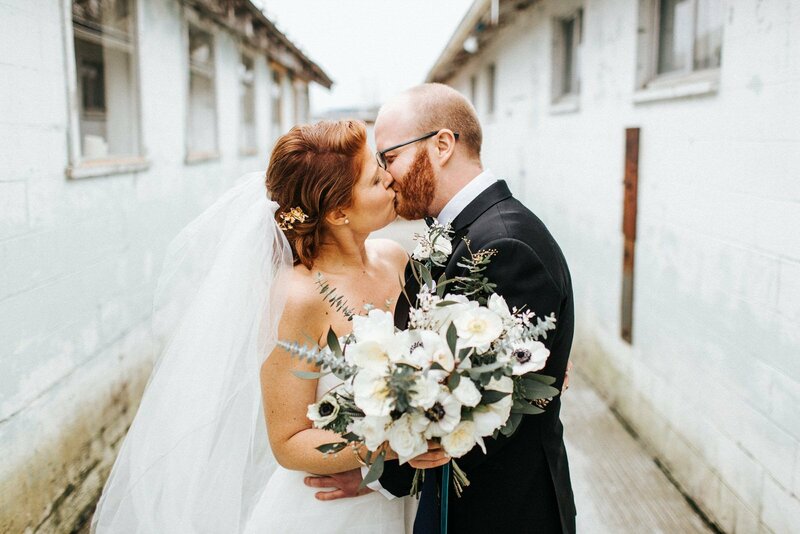 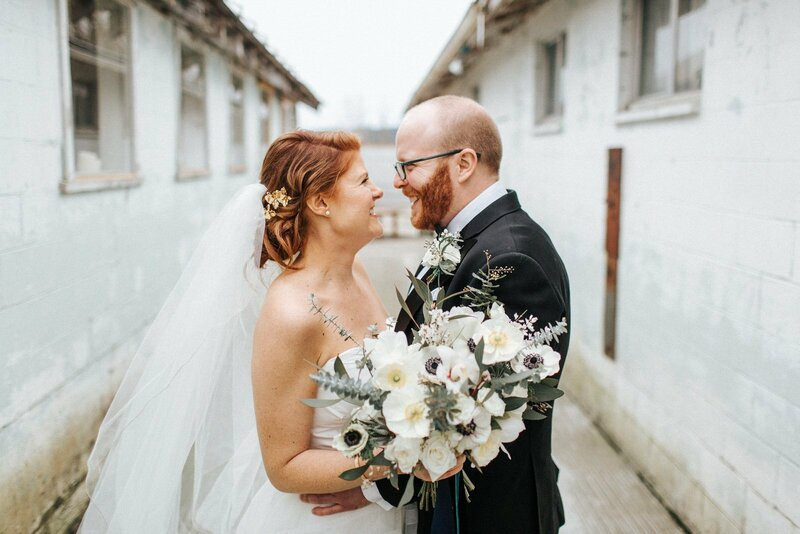 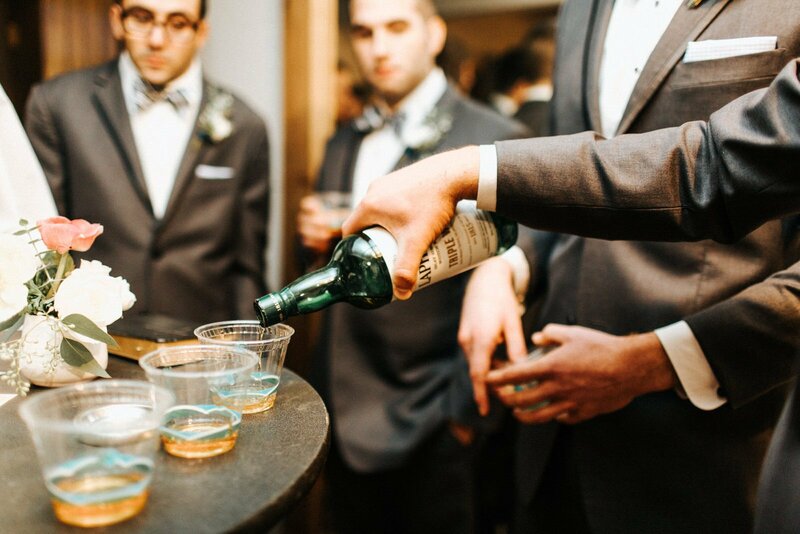 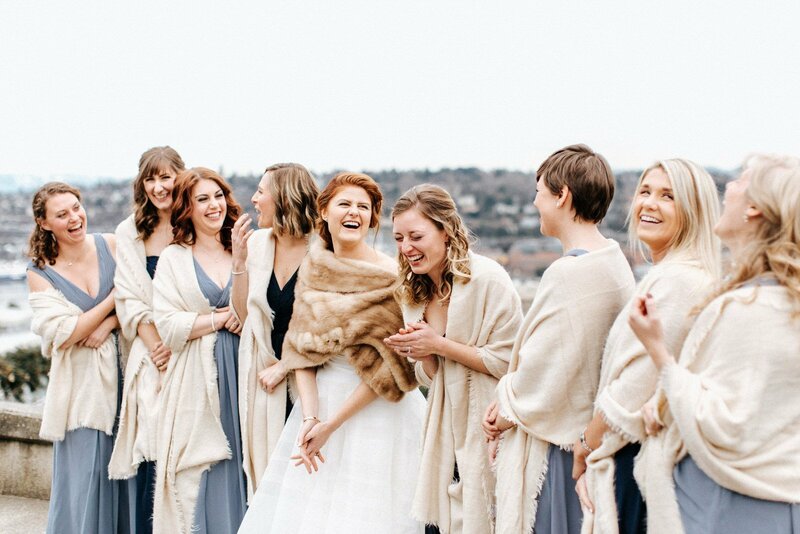 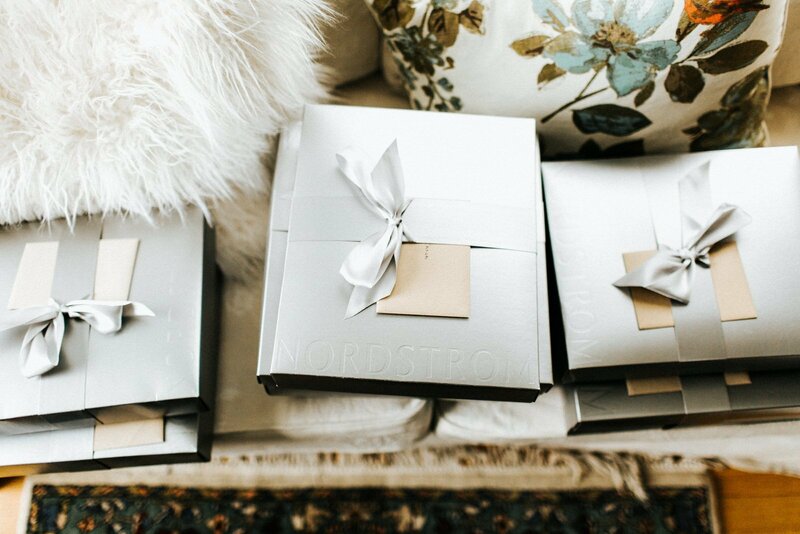 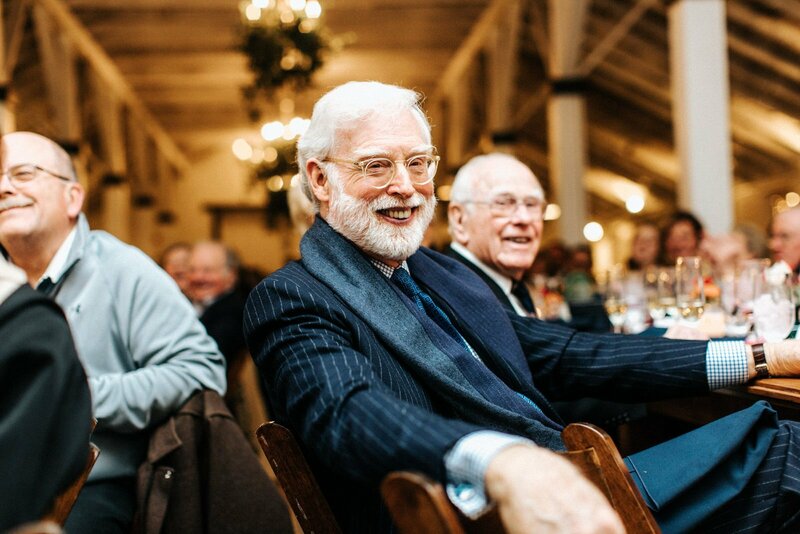 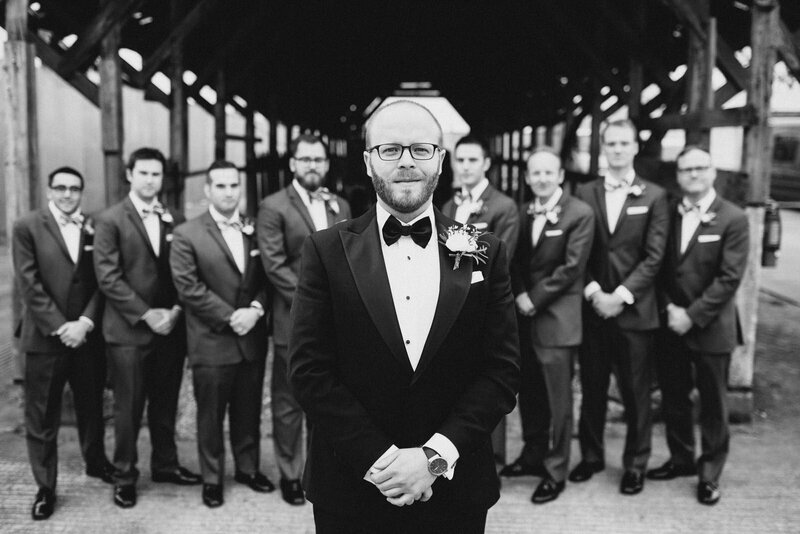 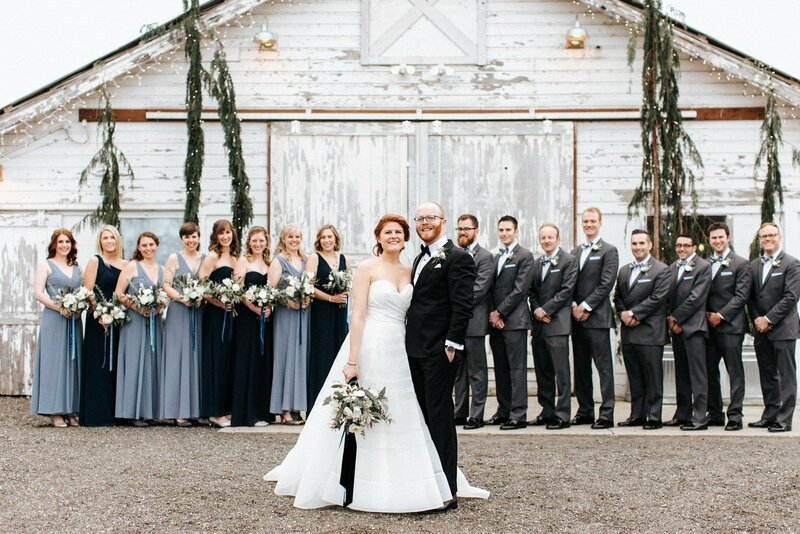 It brought so much style to their winter wedding. 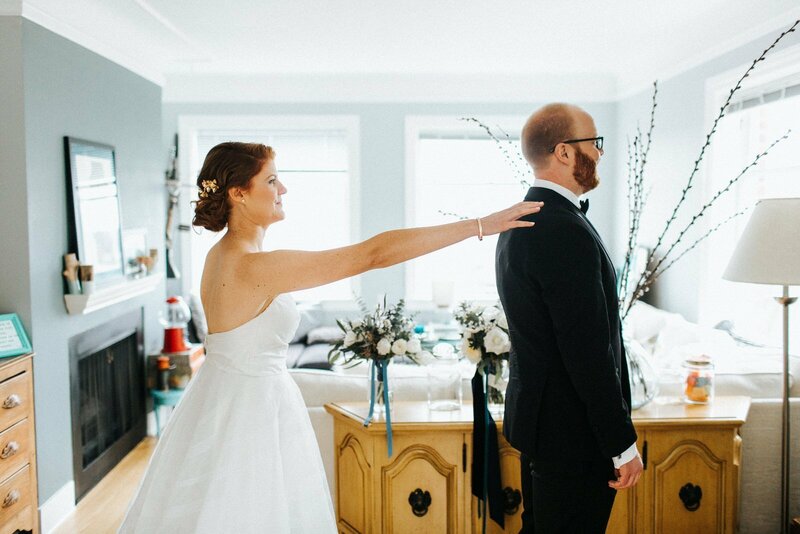 Thank you two for such a great day! 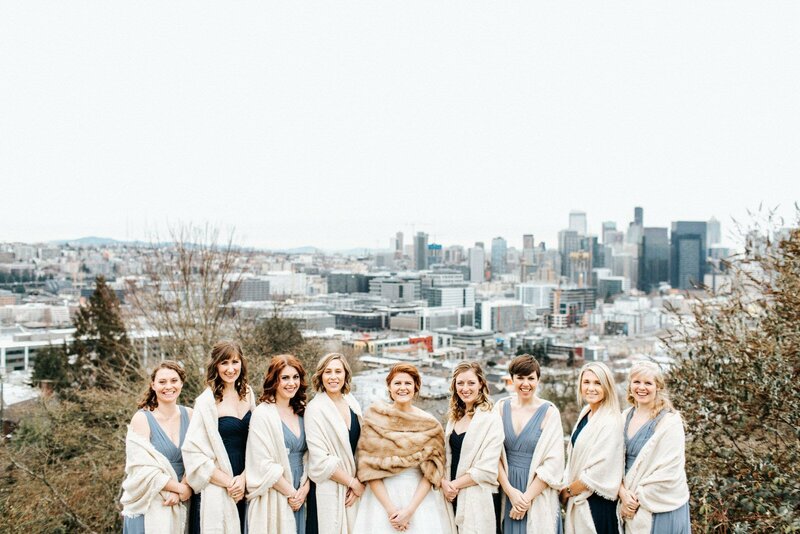 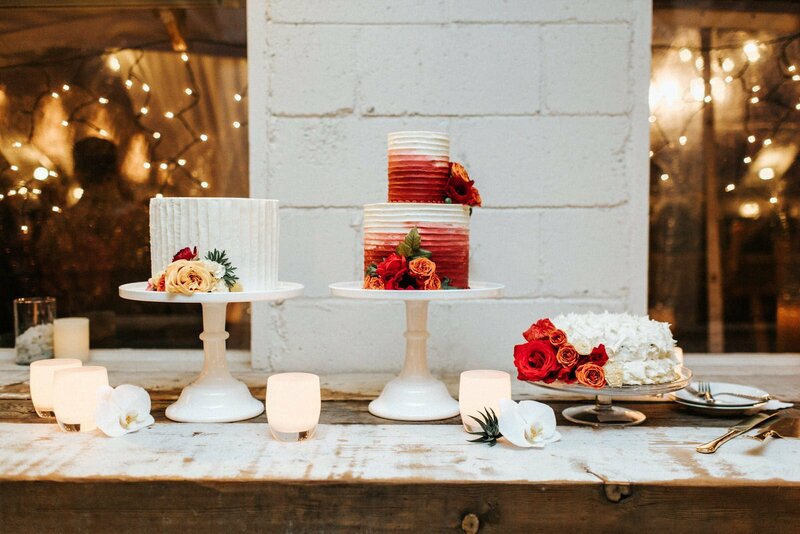 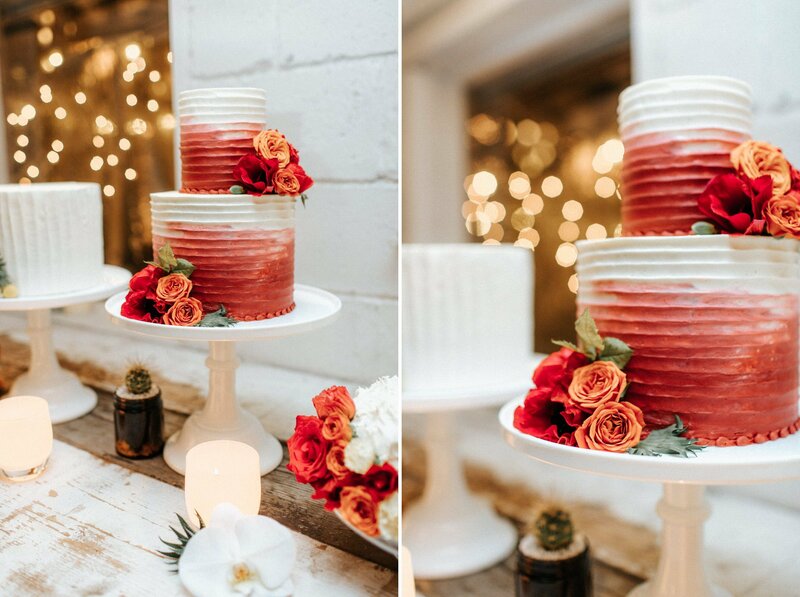 And thank you Seattle Bride for the feature!